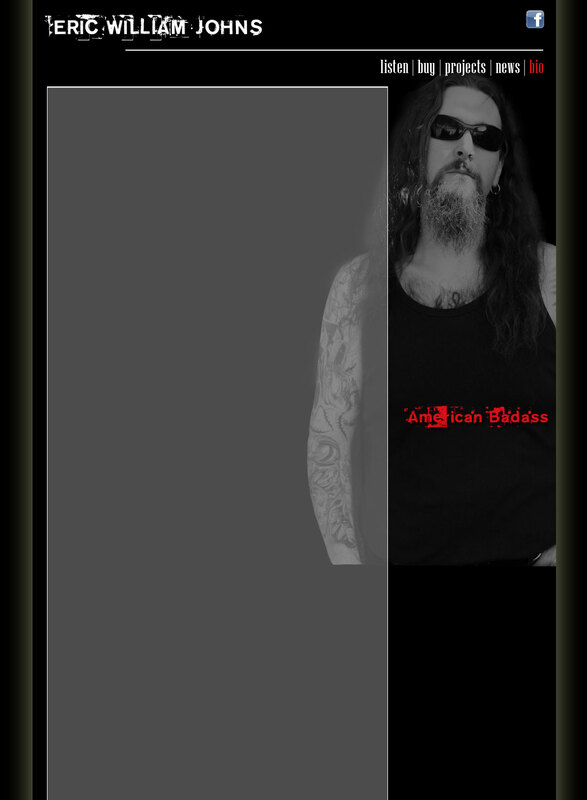 Eric Johns has had a career that has seen him front bands as diverse as Metal acts Human Cometh, Simple Aggression, Hard rock act Southern Gentlemen and Americana act American Rail Council. On "Smoke in the Sky" Eric has put together a collection of Bluesy Rock Tracks that showcases his powerful emotive vocals. He is also a great storyteller with his lyrics. "I have never been shy about wearing my influences on my sleeve," said Eric. "This was the vocal style I grew up listening to blasting out of every car window when I was growing up. I wanted to give that style of music some much needed attention and remembrance, while still trying to bring some new and more modern elements to the songs. The result is 11 tracks of bluesy hard rock that pays homage to the great rock singers of the 70's while lending a fresh new edge to the style." Producer David T. Chastain states: "Eric is a very versatile vocalist. He has the ability to do justice to a wide range of styles from Dio to Janis Joplin. I have heard him sing Dio's "Gates of Babylon" and Janis Joplin's "Piece of My Heart" with equal mastery. It was time for him to step out and do his own thing." Joining Eric on "Smoke in the Sky" is his long time friend and bassist Dave Swart. Southern Gentlemen Drummer Mike Haid joins guitarist Steven Taylor to round out this All Star backing band. What do you do if you are musician who plays in several bands, but all of them are inactive because members are busy in other projects? If you are vocalist Eric Johns, you use the downtime to make a impressive solo record. One that was long overdue!